Tiddys Blog: Tiddys first blog! Well ive finally gone and done it! I have been intending to do this since forever but something always comes up (usually cake!). 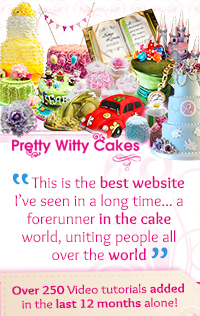 My very own blog where i will be sharing my caking adventures, recipes and links to all things cake and sugar. I hope you will find it mostly fun and informative and I hope you will share any comments with me. So.......what have I been up to? Now the kids are back at school I decided it was time to try a few things I have been itching to do, first on the list was painting on cake! Now whilst ive always been creative, and love trying new things, I can distinctly remember not being very good at painting! Sketching and drawing I loved but something happened to my brain when faced with a brush and colour so i knew this was not going to be easy. I was determined to overcome this simply because i had seen so many beautiful painted cakes and just had to have a go. 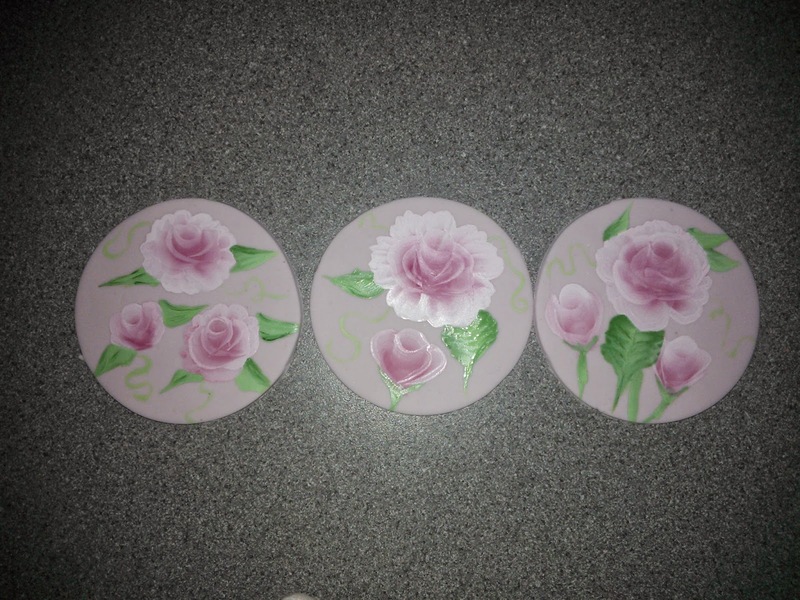 Like so many of the things I've learnt I decided to go straight to Youtube and found some great tutorials for painting roses. These were not all on cake but the principal was the same, a technique called one stroke which involves loading two colours on the brush to get some great light and shade effects. So the very same day I went out and purchased some decent brushes (my old fuzzy ones were just not going to do haha). I already had some paste colours and some dusts and vodka so all i really needed to get was some white. 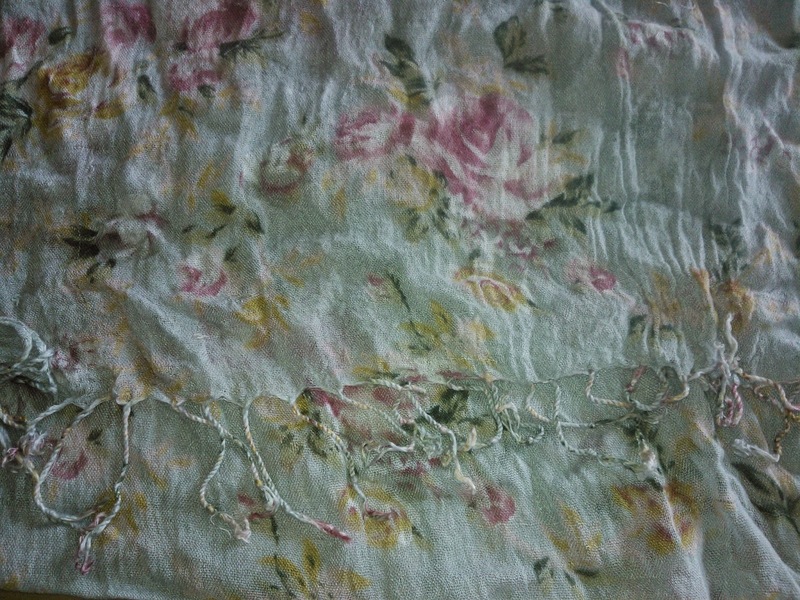 I was all set...and my inspiration for this masterpiece i was about to create?...my scarf! Yep! Its one of those many items that i look at and think 'mmm that would look good on a cake'. Here it is! My fave scarf! 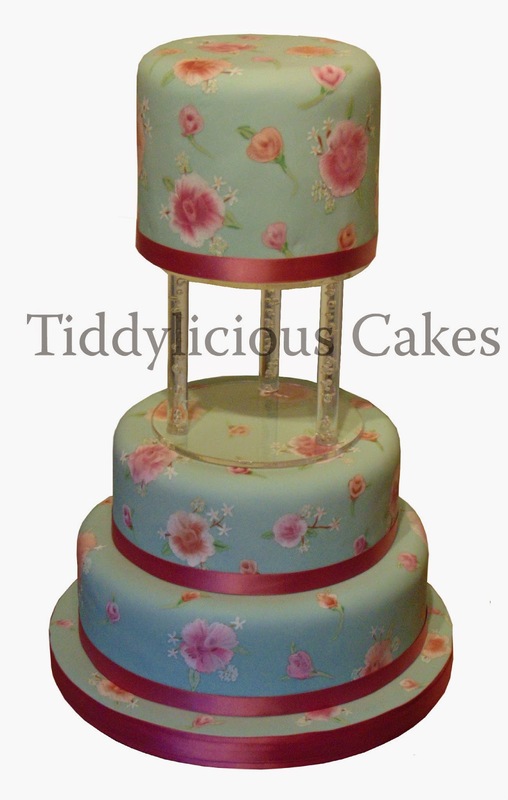 I decided that I would make a three tier with a base colour of blue and the pretty peach and pink roses all over. Now I would love to tell you that i just picked up the brush and away I went but no. As with all things cake the key is practice so I rolled out some leftover sugarpaste and cut three circles and these became my practice discs. As you can see the results were pretty good and I then felt confident to jump straight in. This is the result, a very pretty cake! What do you think? Will you have a go?